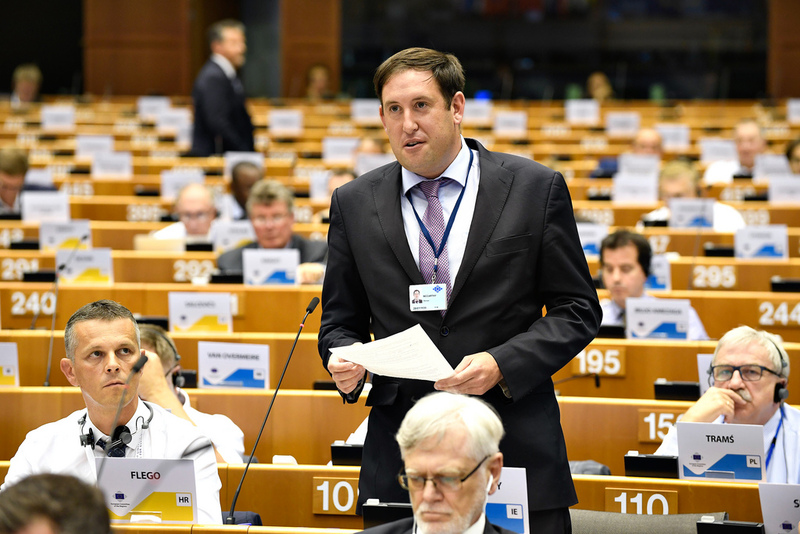 Cllr Kieran McCarthy, a member of the European Committee of the Regions advocates for pan-European inclusion of science and innovation in school curricula. On 12 July, during the 124th plenary session of the European Committee of the Regions, members hosted Mr Carlos Moedas, European Commissioner for Research, Science and Innovation who presented some possible directions for the future evolution of the Horizon 2020 programme. Speaking on behalf of the European Alliance group, which he is Vice President of, Cork City Councillor Kieran McCarthy stressed the need to break the silos between disciplines, policies and programmes and the need to inspire Europe with mission-driven research and innovation. Mr McCarthy called for a more central role for the European Commission’s Joint Research Centre and a better connection between the work done there, the research within the Horizon 2020 programme and the innovation elements of the cohesion policy. Secondly, Mr McCarthy, who also authored the CoR opinion on “Building a European Data Economy,” talked about the crucial importance of inspiring Europe and capturing public imagination in science and innovation. He argued that ten per cent or more of future funding should go to publicity and science and innovation must form a core part of school curricula across every member state and local authority area. Giving the example of Cork City Council’s Lifetime Lab in Cork he concluded; “It must be a science for all. Science and innovation is the future of Europe. And the future of Europe document must reflect this going forward as well”. Horizon 2020 is the biggest EU Research and Innovation programme with nearly €80 billion of funding available in the period between 2014 and 2020. Currently, the programme is undergoing its mid-term view with vivid debates on its post-2020 evolution and, in particular, its relation to the EU’s cohesion policy.